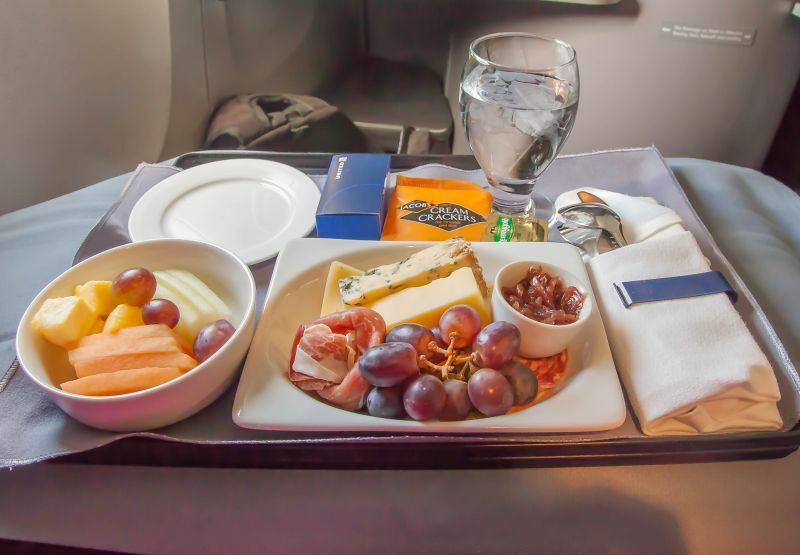 After my disappointing journey on British Airways, I was really interested to see what United Airlines Business Class was up to these days. I used to be a Gold Mileage Plus member, but since moving back to the US, my travel hasn’t been as frequent or as long haul. 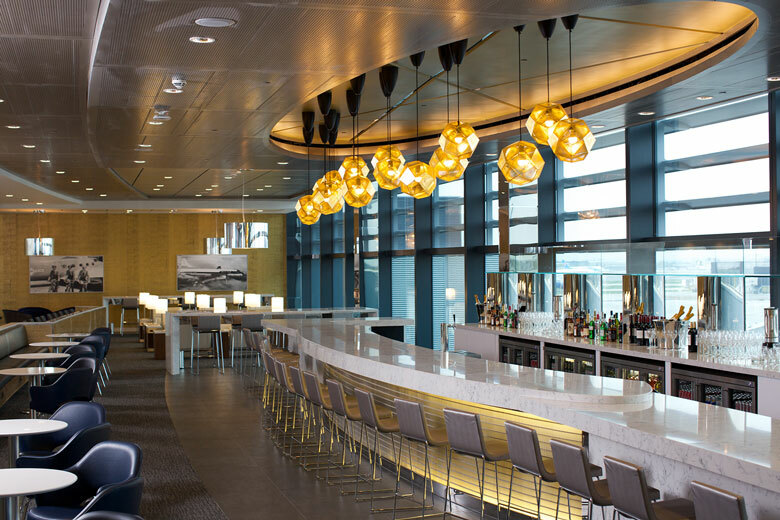 When I got to London’s Heathrow airport, my experience could not have been more pleasant. 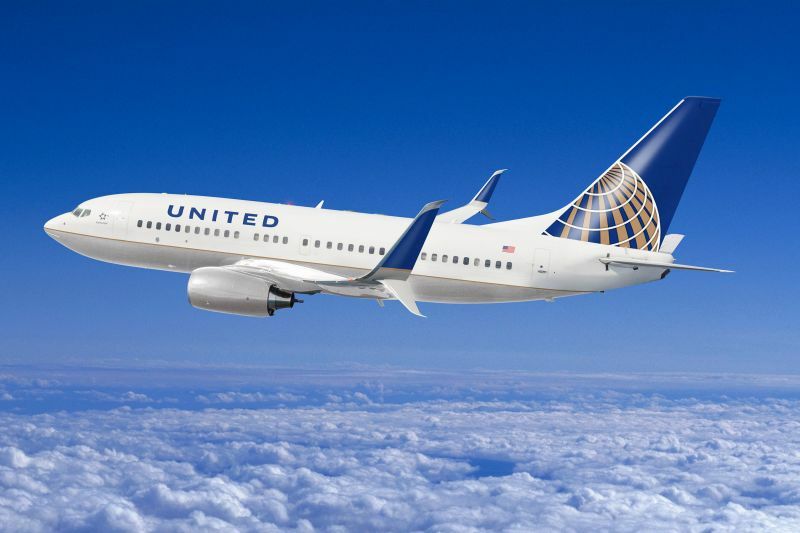 I was greeted by a United Airlines host who asked me a few questions about my trip and if I had an enjoyable stay in the UK. 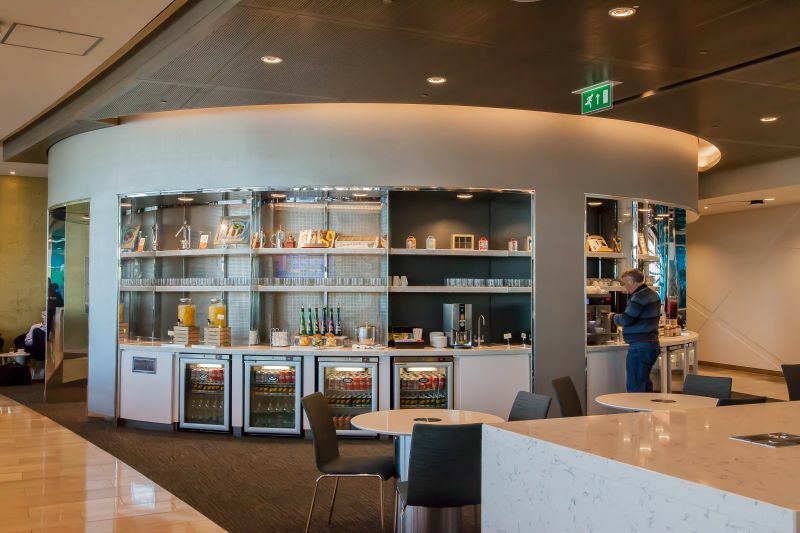 He efficiently handled all of my luggage and pointed me to the Business Class lounge. 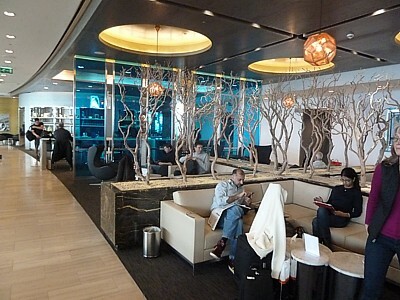 The lounge was spectacular; modern and gorgeously decorated, I really felt like I was traveling in style. The bar was expansive and the bartender had an extremely cute personality. 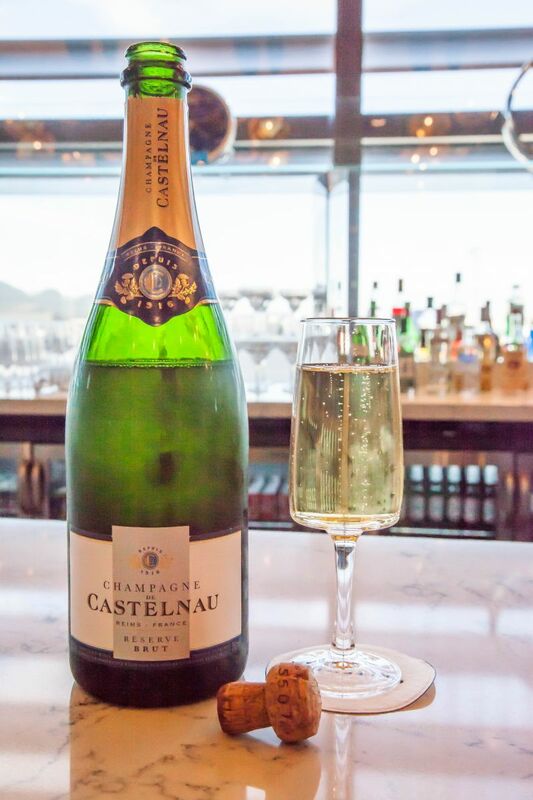 The Champagne Castelnau Reserve Brut I was drinking was a real pleasure; perfectly dry, nice fruits, and a lively fizz made this a great way to wish myself a Bon Voyage. I have to say that I was very impressed by the food. I don’t think they could have provided a better breakfast. Everything looked fresh and appetizing. They catered for pretty much all tastes and diets. There was an attendant making sure that the food was restocked and perfect; classy all the way. I know restaurants that aren’t that good. When it came time to board my plane it was all very organized and quick. The First/Business Class was boarded first and we were ushered into a private loading area onto the plane. After stowing my backpack and finding my seat the stewardess (hostess?) offered me a drink. Civilized! What was stranger was she called us by our first name through the entire trip. “California Girl would you enjoy another glass of wine perhaps?” “California Girl would you like a hot towel?” and on it goes. It felt a little forced and repetitive. Still, the gesture was nice in general. When I asked about the wine choices, the stewardess brought me both bottles to look at and choose from. I thought that was interesting. 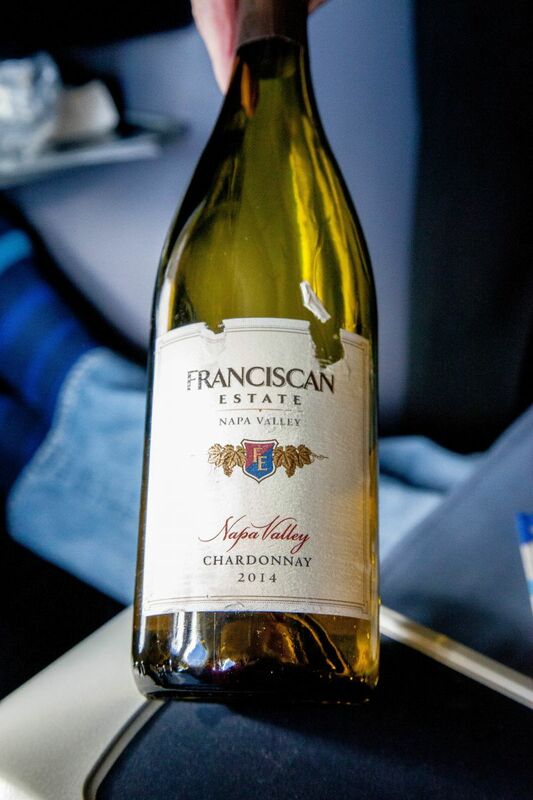 I chose the 2014 Napa Valley Franciscan Estate Chardonnay. The wine itself was good quality having a balance of butter, fruit, and oak that I thought was a very smart choice as a crowd pleasing sip. I really liked how the stewardess was so sweet with each of my questions and she even held the bottles out for me to inspect and photograph. 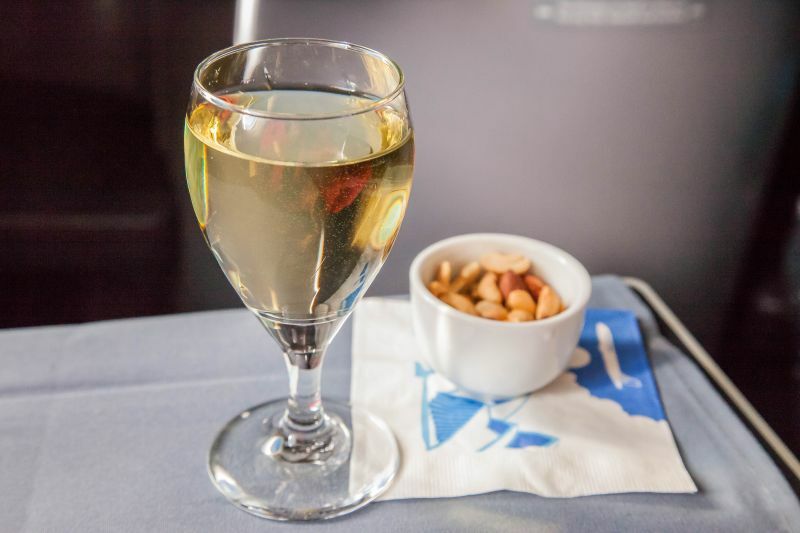 Warm mixed nuts were served with the wine. We were off to an amazing start. Before lunch was served I was offered another drink. 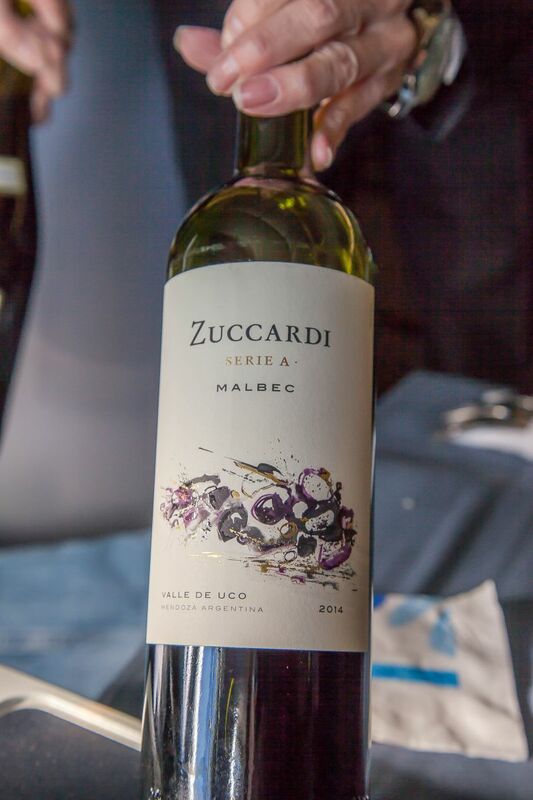 This time I chose a glass of the 2014 Zuccardi Malbec to go with my meal. Again, this wine was very well curated as it was a good example of the grape. It was a bit fruit forward without being sweet; smooth and easy to drink with a bit of spice at the end. I thought there was a great deal of plum flavors on my palate and the finish spices were clove, allspice, and a little bit of cinnamon. I thought it was a nice choice. Good job to the wine curator at United! For my appetizer I was served raw tuna ahi slices with cucumber and lettuce. There was a mild wasabi mayo served on the side. 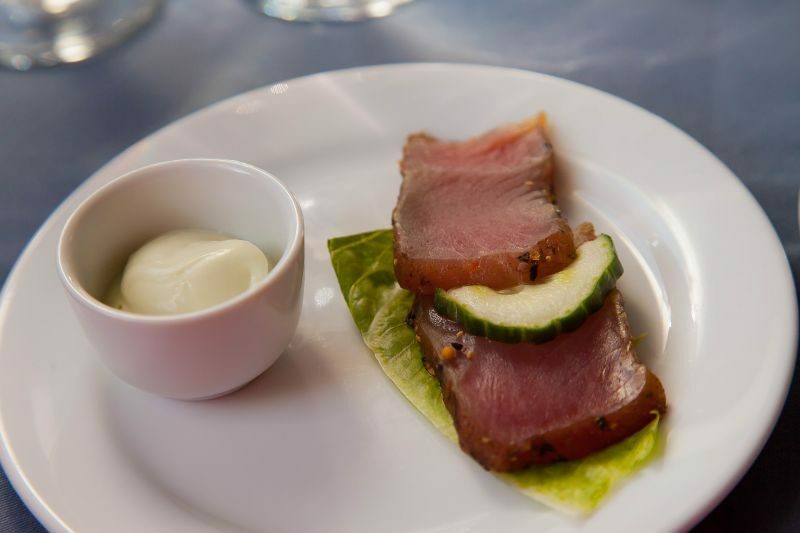 It was light and flavorful; although I have to say that I was a bit taken aback with the odd choice as sushi grade tuna is difficult to keep fresh, safely handle and store. I also wonder how many people won’t eat raw fish? The spiciness of the Malbec was a good complement to the fish and as it was a soft smooth and medium bodied sip, it didn’t overwhelm the dish. For my next course, I was served a mixed green salad with my choice of dressings. 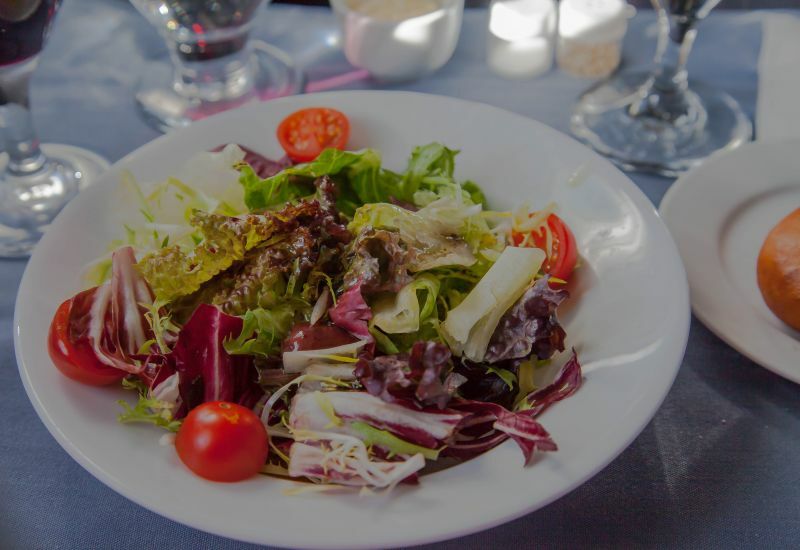 The salad was fresh and appealing. I was also offered a selection of warm rolls to go with it. Both were restaurant quality and I was very satisfied. 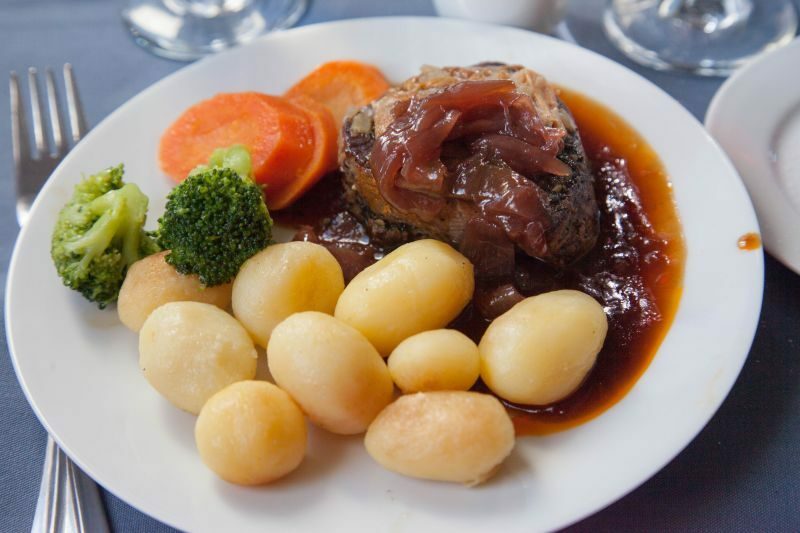 My main course was a beef fillet in an onion gravy with boiled new potatoes, carrots and broccoli. This was my least favorite of the dishes. The beef was tough and way overcooked. The flavors were ok; I give it an overall score of edible. My neighbor ordered the Cajun Shrimp and Rice dish. It didn’t look much better than what I had. We both ate with a meh. 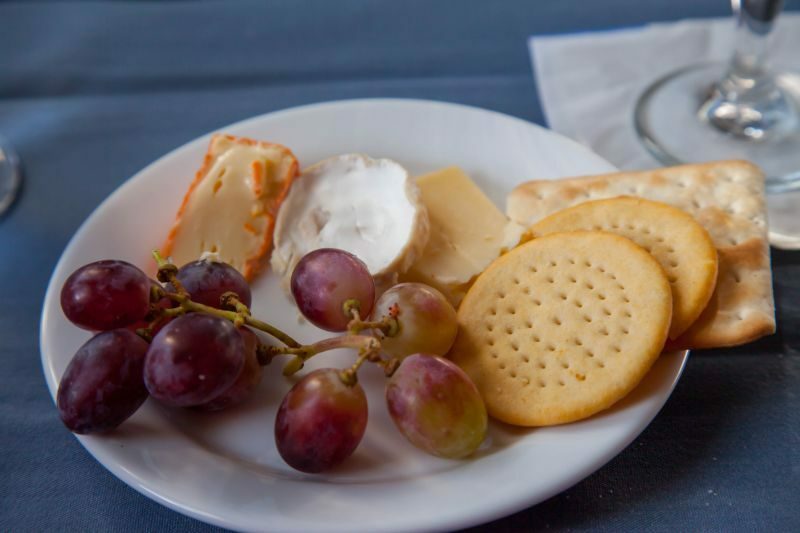 Back in top form, we were then served European style cheese and biscuits. The cheese was flavorful and really felt to me like the meal had been completed. I was happy again. 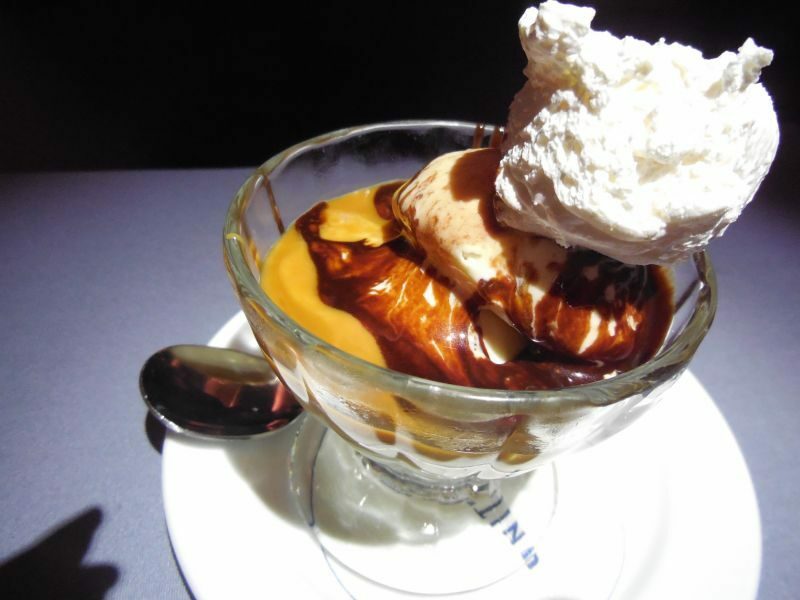 We weren’t finished though, and the stewardess came around the Ice Cream Sundae cart. Yes, right at our seats they were serving made to order Ice Cream Sundaes. I don’t eat ice cream, but it sure did look good. My neighbor dug into his with gusto. His happy sighs made me think it was as good as it looked. I had several more glasses of Malbec and drifted off into a food coma as we flew through the sky. Throughout the flight we were offered warm cookies, drinks, and snacks. I did try one of the “berry cookies” and it was a hmm. 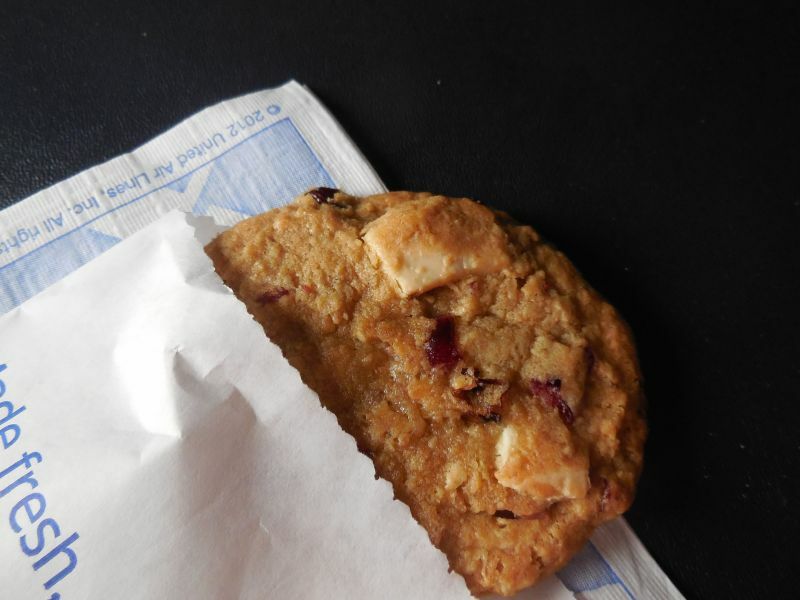 The cookie itself was a simple base with nice butter flavor, but the “berries” tasted really fake. They even offered cold glasses of milk with them. The service and idea get good ratings. The flavor of the cookie gets a meh. When it was time to “wake”, I was offered a “snack”. I was pretty full by this time, but as I am blogging about the food, wine, and service, I thought I should accept. What I got was basically another entire meal. This time comprising of a fruit plate, cold meats, cheeses, and warm bread. There were even handmade chocolate truffles to enjoy. The quality of all the items were good and I enjoyed what I ate. The only small disappointment was that the fruit wasn’t quite ripe, and seemed a bit dry. By this time, they were out of the Malbec (a popular choice obviously) but they did offer me other wines. I declined as I felt well sated and fed. 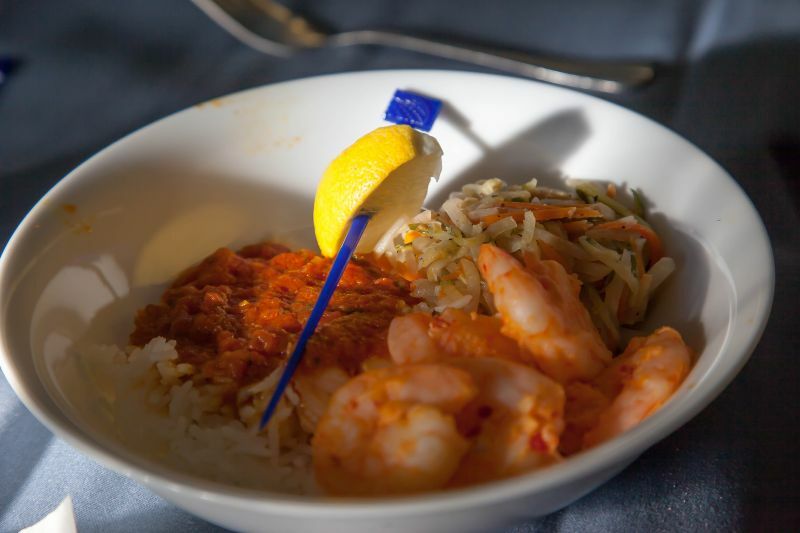 The overall comfort of the flight was good, the food was tasty and the service was outstanding. I was very impressed. Right before we landed our stewardess and the bursar both came and thanked each individual person flying Business Class for their patronage of United Airlines. It was a nice gesture. Once I landed, it was a whole different story. 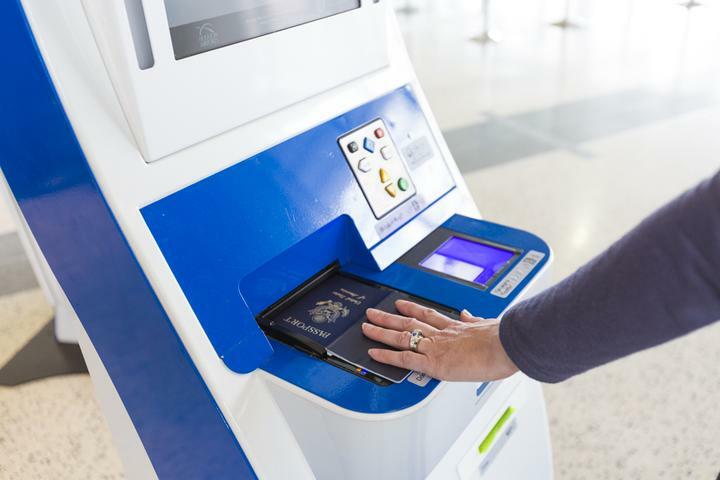 There was no expedited service for Business Class through the immigration and customs. I had to battle through that nightmare and the hordes of people and long lines. Then, I had to pick up my luggage and find out where to deposit it for my connection. I have to say this was horrible. I went through 5 different check points after getting off the plane! All of the relaxation I might have gained by taking a Business Class flight was gone. 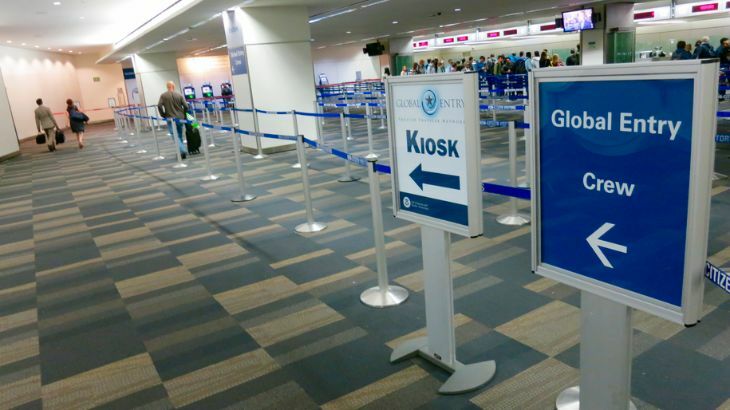 Tell me how is it that they can whisk you through security on one side and not the other? I think that is very poor. I give United Airlines Business Class an overall thumbs up and would recommend them for international travel. I would never recommend flying through Houston though.